THE PENNSYLVANIA DEPARTMENT OF HEALTH BUREAU OF EMS HAS PARTNERED WITH REGIONAL EMS COUNCILS TO OVERSEE EMS OPERATIONS ACROSS THE COMMONWEALTH. bELOW IS THE CONTACT INFORMATION FOR YOUR AREA. We need your help! Just like any other business, EMS needs community support. We depend on volunteers from all walks of life to keep our doors open. You may think that we are only looking for certified EMS practitioners, but that is not the case. We also need support staff. If you have a background in grant writing, business administration, fundraising or vehicle/ building maintenance we need you. Stop in to your local ambulance station to see how you can get started today! Southern Alleghenies EMS Council, Inc. Seven Mountains EMS Council, Inc.
Eastern PA EMS Council, Inc.
EMTs and paramedics held about 210,700 jobs in 2008. Most career EMTs and paramedics work in metropolitan areas. Volunteer EMTs and paramedics are more common in small cities, towns, and rural areas. These individuals volunteer for fire departments, emergency medical services, or hospitals and may respond to only a few calls per month. Paid EMTs and paramedics were employed in a number of industries. About 45 percent worked as employees of ambulance services. About 29 percent worked in local government. Another 20 percent worked in hospitals. How do I get started in EMS? What Kind Of Opportunities Will Becoming An EMS Practitioner Open Up For Me? 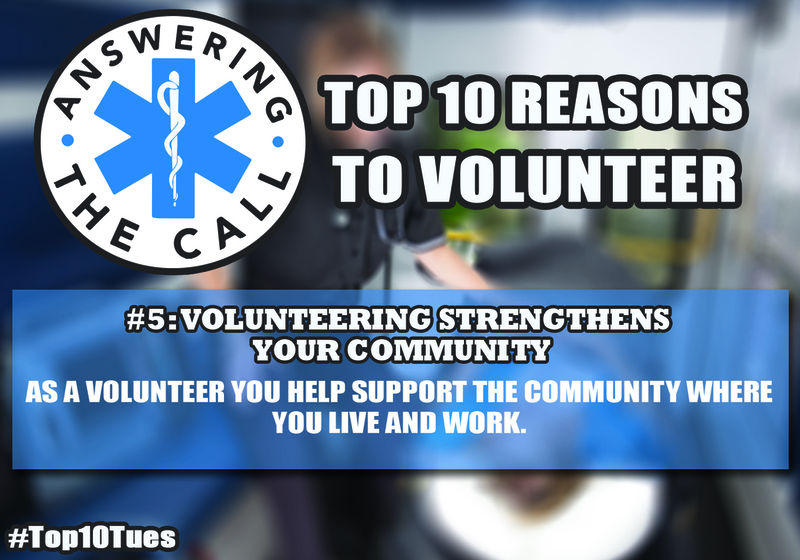 A: From volunteering with your community to working with a paid service, EMS opens all kinds of opportunities. Working as a dispatcher, becoming a member of a rescue service, working within a hospital setting, a medical helicopter service or saving lives on the streets of your community all start with becoming involved with your local EMS agency. How Do I Know EMS Is Right For Me? A: An EMS professional is caring, compassionate and is able to gain a patient’s trust. They communicate well, have fast instincts, and are able to think fast to make quick decisions. Is It Fun To Be Able To Drive An Ambulance? A: We can’t lie; it is fun driving the ambulance! But we also take the responsibility very seriously. EMS Practitioners are required to take an Emergency Vehicle Driving course in order to learn how to handle the ambulance in all kinds of weather and possible driving conditions. In addition, EMS personnel are required to take yearly training to hone their driving skills. Once I Become Certified As An EMS Practitioner, What Do I Need To Do To Maintain My Certification? A: Once certified, all EMS practitioners must complete continuing education and meet re-registration requirements to maintain their certification. There are many continuing education classes conducted in the area, along with computer- based classes you can complete at home. You will also be required to complete a healthcare level CPR class every two years. A: Helping people, no question about it! 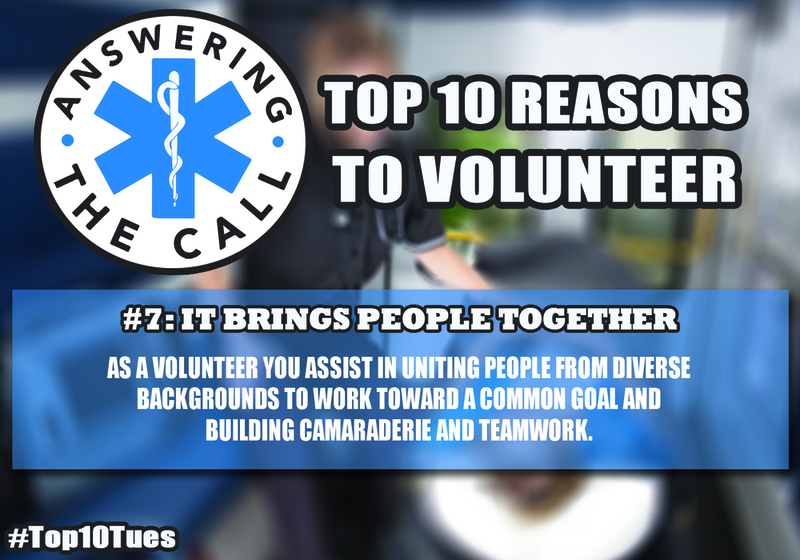 As an EMS Professional, you will be called to help people in many different ways. From bringing a new life into this world, or holding the hand of an elderly patient, new and different experiences are just around the corner. By answering the call you can make a difference in someone’s life.